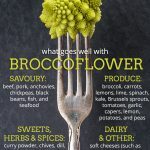 What Goes Well With Broccoflower? What does Broccoflower Go Well With? 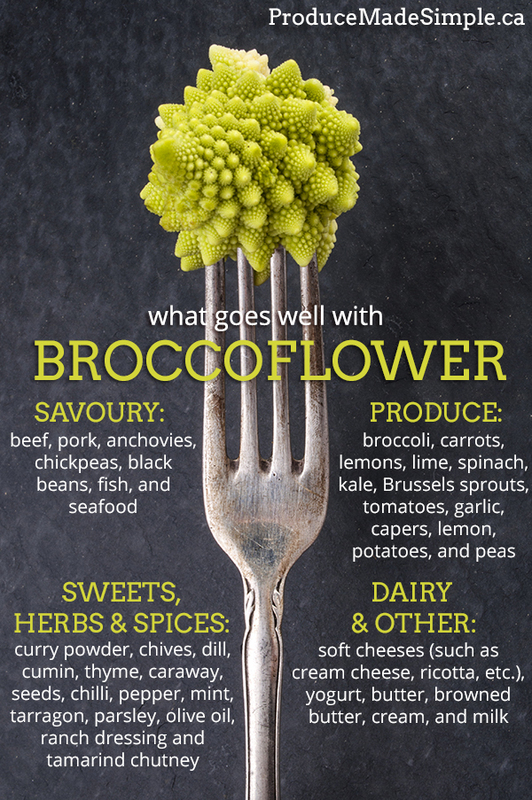 Broccoflower has a similar taste profile to cauliflower, so don’t be afraid to swap cauliflower out for broccoflower. 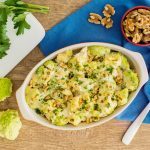 Serve broccoflower anywhere a recipe would call for cauliflower. Try roasting it or grilling it for an eye-catching side dish. Make a broccoflower soup! It will have a cauliflower flavour but will be a tinge sweeter like broccoli. Serve broccoflower raw like you would cauliflower and broccoli. It makes a great vessel for dipping into ranch dressing!